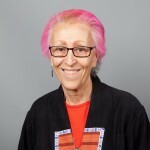 Wendy G. Mitchell is Professor of Clinical Neurology at Children’s Hospital Los Angeles. She received her MD at University of California, San Francisco (UCSF). She did her pediatric residency at UCSF, then a fellowship in behavioral pediatrics and child psychiatry at Mt. Zion Hospital in San Francisco. She was a Robert Wood Johnson Clinical Scholar at University of North Carolina, Chapel Hill, then completed a residency in Child Neurology at University of North Carolina, Chapel Hill. Since completing her training she has been at Children’s Hospital Los Angeles, where she is currently Acting Division Head, Neurology Division. Her research interests have been in the cognitive and behavioral aspects of childhood epilepsy, including the effects of anticonvulsant medications. Other research interests have included treatment of HIV infection in childhood, particularly neurological involvement, and in opsoclonus-myoclonus syndrome. She has been involved in over 40 multicenter clinical trials of anticonvulsant medications, as well as in multicenter and single center studies of infant botulism, OMS, infantile spasms, and HIV encephalopathy. Children and adolescents with epilepsy have behavioral and learning problems more often than their peers. Adults who had epilepsy as children may continue to have social and occupational problems, even if seizures are controlled or are gone. These difficulties have multiple causes, and may not be a direct consequence of the epilepsy or its treatment. Neither epilepsy nor the seizures themselves are generally the most important cause of cognitive or behavioral problems. The underlying causes of cognitive and behavioral dysfunction may be subtle or obvious. The cause of the seizures may also be the cause of the other difficulties. For example, structural brain lesions may cause both epilepsy and other disabilities. However, behavior problems and learning disabilities are somewhat more common than expected even in children with benign epilepsies, such as childhood absence or benign Rolandic epilepsy. When evaluating a child with epilepsy and concurrent behavioral or learning problems, the relative contributions of epilepsy, medications, social stigma may be hard to separate. Epilepsy is more frequent in intellectually disabled children than in the general population. The majority of children with mild or moderate intellectual disability do not have epilepsy. Studies of intellectually disabled children have documented that between 15% and 35% have epilepsy, in contrast to 1-2% of children in the general population. Children with severe intellectual disabilities and cerebral palsy have the highest rates of epilepsy. In the majority of cases of severely handicapped children with epilepsy, the underlying brain disease causing the disability, for example brain malformation, chromosomal abnormality, prior brain injury, birth injury, infection, causes the epilepsy as well. More genetic causes of intellectual disability and epilepsy are being found as genetic testing becomes more sophisticated. Disagreement exists regarding the role of interictal epileptiform discharges (EEG abnormalities seen between seizures) on cognitive function. Research using sophisticated computerized cognitive test batteries time-locked to EEG discharges has noted brief cognitive impairment, primarily slowing of reaction times, during epileptiform discharges. Conﬂicting evidence exists regarding the role of inter-ictal epileptiform discharges (spikes and other abnormalities seen between seizures) on cognitive function, as distinct from effects of seizures themselves. Studies using computerized cognitive test batteries time-locked to EEG spike or spike-wave discharges have noted slowing of reaction times and decreased perceptual accuracy during spike or spike-wave discharges. This evidence is controversial. Refinement of methodology has suggested that a larger proportion of presumed transient cognitive impairment can be linked to subtle seizures. Inter-ictal epileptic activity has a smaller effect upon cognitive functioning. Finally, the effects of such transient cognitive impairment on more stable tasks such as reading or intelligence have not been studied and are unknown. Learning disability is diagnosed when one or more areas of learning are signiﬁcantly below expectations, but not explained by overall intellectual abilities, sensory abnormalities (i.e., hearing or visual loss), or lack of opportunity or teaching. Learning disabilities are reported to be more frequent in children with epilepsy. Studies have shown that children with epilepsy are at higher risk for repeating a year in school. More than half of children with epilepsy require special education services. Although the frequency of special education placement was significantly higher in the children whose epilepsy was due to brain injury or specific genetic condition, in one study 48.9% of those considered otherwise neurologically normal received some form of special educational services. an indirect one, in which an underlying neurologic condition causes both seizures and abnormalities in perception, memory, and visual-motor skills. There may be many reasons other than epilepsy for the learning and academic problems of children with epilepsy. Parental expectations for their child with epilepsy are often lower than those of their non-epileptic child. Parents may not encourage educational attainment. However, even after the effects of sociocultural variability have been accounted for, at least some children with epilepsy have significant learning disabilities. In one study comparing children with newly diagnosed epilepsy to children with recently diagnosed asthma, academic underachievement was signiﬁcantly more common in children with epilepsy. Boys with severe epilepsy were particularly at risk. Some types of epilepsy were more likely to be associated with learning disabilities than others. A diagnosisof epilepsy should provide sufficient cause to screen children for learning disability and to continuously monitor academic achievement. Regardless of methods used, most studies of children and adults with epilepsy demonstrate an excess incidence of inattention, impulsivity, and slowed reaction time. These ﬁndings should not imply that clinical attention-deﬁcit–hyperactivity disorder (ADHD) is extremely common in children with epilepsy. However, ADD/ADHD is probably more common in children with epilepsy than in other children. As with overall cognitive function in children with epilepsy, simple cause-and-effect relationships are uncommon. Underlying neurologic conditions may cause both ADHD and epilepsy. Antiepileptic medications may affect attention and impulsivity, both positively and negatively, at least in some people. Measured effects of anticonvulsant medications on attention are small, and may not be clinically signiﬁcant. In rare instances, frequent seizures may affect attention, and seizure control may eliminate an apparent attention deﬁcit. In these case, the seizures and behavioral disorder are due to the underlying condition. A rare exception is the child in whom autistic behavior develops along with language regression, accompanied by an epileptiform electroencephalogram (continuous spike-and-wave pattern during sleep). This condition has been considered to be a variant of Landau-Kleffner syndrome. Behavior and language may improve with treatment with antiepileptics (rarely), corticosteroids, corticotropin, or after a surgical procedure to interupt the discharges (e.g., subpial transection of surface of the brain producing the spikes). Depressive disorders and mood disturbances have been reported more frequently in adolescents and adults with epilepsy than in healthy peers. Prevalence of depression in children and adolescents with epilepsy is higher than in the general pediatric population. Mood disorders are often underdiagnosed and undertreated in children with epilepsy. A number of studies have highlighted that suicidal ideation and attempts are more likely to be seen in children and adolescents with epilepsy than in the general pediatric population. In addition to depression, anxiety disorders may coexist with childhood epilepsies. The etiology of depressive symptoms may be complex. Social stigma, lack of employment opportunities, or lack of social contacts may contribute to depression. Self-reported quality of life is lower in adolescents with epilepsy than in adolescents with asthma. This difference was more striking for young persons with active epilepsy. However, children and youth with epilepsy rate their quality of life lower than expected, even when seizures were fully controlled or inactive. Behavioral disturbances in children and adolescents with epilepsy may be due to family factors and parental anxiety about epilepsy, rather than a primary result of epilepsy or of the underlying neurologic disorder. However, there is some indication that behavior difficulties may be increased in children with epilepsy. This has been found even if there are only a few lifetime seizures. When children with epilepsy are assessed at the time of ﬁrst seizure diagnosis, behavior problems are frequently reported by parents and teachers. This tends to happen with children who had previously unrecognized seizures. Children with epilepsy have higher rate of oppositional-defiant disorder and conduct disorder compared to other children their age. Adolescents and young adults with childhood-onset epilepsy have slightly higher-than-expected rates of delinquency in some studies. It is uncertain whether this propensity is due to underlying brain disease with poor impulse control, stigma, lack of opportunity or to other sociocultural factors. Delinquency may also be associated with a prior head injury, which may also cause later epilepsy. Social acceptance of children and adolescents with epilepsy is far from complete, even when seizures are infrequent or fully controlled. In some cultural settings, it is not generally disclosed to friends or extended family that a child has epilepsy. Some children are not sent to school if seizures are uncontrolled. Despite laws guaranteeing disabled and medically impaired children full access to education in the United States and many other developed countries, some schools discourage attendance by children with seizures. All of these prejudices may further impair social and academic function in children with epilepsy. Fear of teasing, exclusion or bullying may cause adolescents to hide their epilepsy diagnosis. Society’s understanding of epilepsy has changed over time. The ancient belief that seizures were a supernatural force has given way to the present understanding that epilepsy represents a medical condition. Social dysfunction is more common in adults who have ongoing seizures but may persist even when seizures are well controlled. Studies of outcomes in adults with childhood-onset epilepsy ﬁnd substantial maladaptation as well, particularly in social and vocational function. In long-term follow-up (30 years) of children with epilepsy in Finland, about 60% of subjects were independent in activities of daily living. Fifty-seven percentwere employed. A study in Sweden, including only adults with childhood-onset absence or mixed generalized seizures (absence plus generalized tonic-clonic), found young adults with persisting absence seizures since childhood or adolescence were more likely to be employed in an unskilled job or in an occupation below expectations for educational level, compared to peers without epilepsy. Social isolation was reported in 34.5%, compared with 7.9% of the reference group. Seventy-four percent reported that epilepsy had affected at least one area of their social functioning. In a Finnish study of adults who had uncomplicated childhood-onset epilepsy, the quality of life for adults with epilepsy in remission on medication was lower, and rates of unemployment were higher, than in adults who never had epilepsy, or in adults whose epilepsy was no longer active, who were off all medication. Cognitive, psychiatric, and behavioral abnormalities in children with epilepsy often are attributed to antiepileptic medications. Most of these effects are unsupported by data from well-controlled, randomized, prospective clinical research. However, adverse behavioral and cognitive effects can occur with any anticonvulsant, for specific sensitive individuals. Epilepsy occurring in the developing brain is likely to be substantially different from that in an adult in both its qualities and response to treatment. In well-designed controlled studies, evidence of long-term adverse cognitive effects of antiepileptic medications is difﬁcult to document objectively. Only a few studies have randomized subjects at the onset of seizures to receive one of several anticonvulsants. Other studies examine patients assigned nonrandomly to receive various antiepileptic drugs when medication is started, changed, or stopped. A few studies look at behavioral effects of a new medication, but it is generally added to one or more other anticonvulsants. One study of behavioral effects of phenobarbital for febrile seizures in infants and toddlers found a slight drop in developmental quotient in treated infants compared to those receiving placebos (sugar pills). There are many observational studies addressing cognitive and behavioral side effects, often comparing newer anti-epileptic agents with older ones. These are limited to small numbers of patients and short-term follow up. One exception is a recent large clinical trial of absence epilepsy, comparing both seizure control and cognitive effects of three standard medications, ethosuximide, valproate and lamotrigine. The study found that although seizure control was comparable with valproate and ethosuximide, behavioral side effects were more common in children treated with valproate. In older children and adults, the major effect of most antiepileptic medications on cognitive function appears to be a slowing of motor and cognitive processing speed. Early reports that phenytoin caused generalized decline in cognitive function were later disputed when further data analysis and research found that the major effect of phenytoin was on motor speed. Some patients perceive that their responses are slower and are bothered by this, despite otherwise normal functioning by most other measures. Conversely, improvements in cognitive function, impulsivity, and behavior have been reported with several antiepileptic drugs. This improvement may occasionally be dramatic; resulting from control of frequent seizures. The best example occurs when frequent absence seizures are controlled with antiepileptic medications. Improved behavior and cognitive function, as a direct result of antiepileptic medication, also has been documented for some antiepileptic drugs, particularly carbamazepine and lamotrigine. Both of these medications are often prescribed as “mood stabilizers”, even in patients without epilepsy. This is more often seen in infants and toddlers. Five to 25% of children experience overactivity due to phenobarbital. This effect is more frequent in toddlers and preschool-aged children but may occur at any age. Similar agitation can be seen in children on other sedating anticonvusants, particularly when medication is first started or increased. There has been increasing concern about suicidal ideation in older children and youth treated with anticonvulsants. However,this is a rare observation. Many anticonvulsants are used for mood stabilization by psychiatrists, particularly for bipolar disorder. Patients with severe mood disorders may be more prone to develop suicidal ideation. These effects may decrease, especially if the dosage is increased slowly. However, even gradual introduction of topiramate does not necessarily prevent these adverse effects on cognition. They may persist until withdrawal of the medication. Since its introduction in the United States in 1994, lamotrigine has received much attention regarding its beneficial effects on mood. It is thought to have fewer negative behavioral effects than other anticonvulsants. Lamotrigine has been reported to have fewer cognitive effects in adults with newly diagnosed epilepsy than those described for carbamazepine, phenytoin, and topiramate. In a trial, children whose seizure control improved were noted to be more alert and attentive; whereas nonresponders were more likely to experience agitation. Lamotrigine exhibited no clinically significant adverse cognitive effects as adjunctive treatment for children with well-controlled or mild epilepsy, when compared to placebo. Clobazam is a benzodiazepine. It was initially made as an anti-anxiety medication. However, later it was recognized for its anti-seizure use. Clobazam is effective for a number of seizure types, but is more often used for generalized tonic-clonic seizures and “drop attacks”. A randomized, double-blind, prospective multicenter Canadian study addressed the cognitive tolerability of clobazam compared to carbamazepine and phenytoin in children with newly diagnosed epilepsy. There appeared to be no deterioration of intelligence, memory, attention, psychomotor speed or impulsivity in children on clobazam relative to the other anticonvulsants. Gabapentin is used as an anticonvulsant and also for chronic pain. In adult volunteer studies, gabapentin produced no signiﬁcant alteration of psychomotor or memory. However, gabapentin occasionally has been reported to cause aggressive or agitated behavior. Children in whom signiﬁcant adverse behavioral changes occur with use of gabapentin tend to have some degree of documentedintellectual disability. Oxcarbazepine is chemically similar to carbamazepine. It is generally thought of as less likely to cause behavior changes than some other anticonvulsants. It is similar to carbamazepine in that it may cause slowed responses. One comparison study of effects of oxcarbazepine on cognition in children and adolescents aged 6-17 years, revealed no differences on cognitive testing relative to carbamazepine and valproate. Zonisamide was reported to cause mild to moderate adverse effects in 26-61% of patients, particularly as they started the medication. Attention, memory and language changes were reported in 2-11%, often occurring at therapeutic serum levels. In adults, significantly decreased performance with delayed word recall and verbal fluency were noted in one study. Reports from Japan, where the medication has been in use for 20 years, suggests psychotic episodes and behavior changes may occur in children.T these effects are rare. Vigabatrin was recently approved in the United States, after long delays potential to cause visual loss from retinal toxicity. Approval in the United States is for the treatment of infantile spasms and refractory complex partial seizures in adults. Mild and transient drowsiness, dizziness and irritability are frequently reported with vigabatrin initiation. There does not appear to be adverse effects on cognition. Rufinamide is approved for treatment of a severe form of epilepsy, Lennox-Gastaut syndrome. The majority of patients with LGS are intellectually disabled, and often on multiple anticonvulsants. Rufinamide can cause sedation at high doses, but specific impairments in memory or attention are not reported. Rare but significant idiosyncratic behavioral adverse reactions to virtually all antiepileptic drugs have been reported. Valproic acidoccasionally causes a confused state or psychosis. Felbamate may cause agitation and signiﬁcant behavioral effects early in treatment. It may improve behavior with prolonged treatment. Parents and teachers often are well read in the possible adverse effects of medications. It is important to understand some frightening stories in the lay media and on the Internet exist. Parents may be under the wrong impression regarding an antiepileptic drug. It is common for parents to express fears that a medicine will “make the child retarded” or cause developmental problems. These fears may even lead parents to avoid administeringprescribed medications. Parents need to be reassured that the majority of children with epilepsy will not have adverse cognitive effects of their medications. They need to be informed that if behavior and learning are worsened by a specific medication, alternative treatment can be tried. At times, parents report that a child with epilepsy is being excluded from school programs, sent home repeatedly, or placed in a more restrictive class setting than is appropriate for his or her abilities. The neurologist or pediatrician may need to intervene with the appropriate authorities if a child is being denied appropriate educational experiences because school personnel are concerned about the possibility of seizures. Parents should ask their child’s neurologist or pediatrician to provide a plan for seizures in school. This provision may reduce the anxiety of school personnel. Any child with special needs or suspicion of learning disabilities should be thoroughly evaluated by the school, and have an individualized educational plan prepared. Local branches of voluntary organizations, such as the Epilepsy Foundation of America, may be helpful in providing informational programs to schools. At least in the United States, federal law mandates inclusion of children with disabilities and medical conditions in educational programs in the least restrictive environment appropriate for the child’s needs. Behavioral problems and parent-child interaction should be addressed regularly in the management of children with epilepsy. Parents should be reassured that disciplining a child with epilepsy in an age-appropriate manner won’t cause seizures or epilepsy. Signiﬁcant abnormalities in behavior, activity, or attention warrant a more detailed evaluation. This may include psychiatric evaluation and/or psychometric testing. Psychometric testing, along with clinical history gathered from parents, teachers, and patients, may be necessary to differentiate behavioral difﬁculties associated with coexisting ADHD from those due to family dysfunction, oppositional disorders, inappropriate parental expectations, and other factors. Alteration in antiepileptic treatment may improve behavior and attention if the original treatment has substantially affected behavior. However, ADHD may coexist with epilepsy. Treatment with stimulants (methylphenidate, amphetamines oratomoxetine), alpha-agonists (clonidine or guanfacin), or with tricyclic antidepressants (imipramine, desipramine) generally does not compromise seizure control. Bupropion, an anti-depressant drug occasionally useful for ADHD, particularly when associated with mood disorder, may increase tendency toward seizures, particularly at high doses. Social isolation and poor peer relationships are a particular problem in school-aged and adolescent children with epilepsy. Nonverbal learning disabilities or mild autistic spectrum disorders (i.e., Asperger Syndrome) may make the child socially awkward. This may make children a target for teasing by peers. Children may be particularly at risk for teasing and exclusion by peers if they have had seizures at school or are singled out by the need to leave the classroom to take medication during the school day. Therapeutic or educational programs that emphasize social skills and assertiveness training. Both may be helpful in some children and adolescents with epilepsy. These occupations generally will exclude applicants with epilepsy, regardless of control. Some states will restrict commercial driver’s licenses, even with good seizure control. Appropriate resources for assessment, training, and placement should be identiﬁed in the community. In addition to school-based programs, local Epilepsy Foundation affiliates may be a good resource, as may the state department of vocational rehabilitation. Adjunctive treatment: Additional anticonvulsant medication added on to another standard medication. Affective disorders: Disorders of regulation of mood, ranging from depression to extreme overactivity and elevated mood (mania). Affective disorders may include either only depressive or manic features (unipolar) or may vary between them (bipolar); disorders vary in severity. Angelman syndrome: A genetic disorder characterized by severe intellectual and developmental disability, sleep disturbance, seizures, jerky movements (especially hand-flapping), frequent laughter or smiling, and usually a happy demeanor. It is caused by deletion or inactivation of genes on the chromosome 15 inherited from mother. Antiepileptic medications = Anticonvulsants: Medications given to prevent seizures. Autistic spectrum disorders: Range of conditions characterized by variable degrees of poor social abilities and difficulties with communication and behavior, including autism, Asperger syndrome, pervasive developmental disorder not otherwise specified (PDD-NOS). Benign childhood epilepsy with occipital paroxysms: A type of benign focal epilepsy of childhood with seizures which may be more prolonged and may be associated with visual hallucinations, retching or vomiting. Abnormal electrical activity is recorded in the back of the brain on EEG (occipital lobes), without brain anatomic abnormalities to explain the events. Also called Panayiatopoulis syndrome. Childhood-onset absence epilepsy: The occurrence of an abrupt, transient loss, or impairment of consciousness (which is not subsequently remembered), sometimes with light twitching, fluttering eyelids, etc. ; commonly called “petit mal”. Childhood onset absence epilepsy begins in toddlers, preschool or school aged children and commonly disappears by mid-teens. Chromosomal abnormality: A chromosome is the strandofDNAinthenucleusofeach cellthatcarriesthegenesandfunctionsinthetransmissionofhereditaryinformation. Chromosomal abnormalities may be extra chromosomes, missing chromosomes, or extra or missing small portions of chromosomes. Corticosteroids: A class of hormones normally produced by the adrenal gland. When used as medications, corticosteroids such as prednisone, prednisolone, dexamethasone, or methylprednisilone are typically used to reduce inflammation and swelling, but are occasionally used for control of epilepsy in specific circumstances. Corticotropin (ACTH): The hormone made by the pituitary gland to stimulate the adrenal gland to produce corticosteroids. When ACTH is used as a medication, it is used to reduce inflammation, suppress the immune system, or to control infantile spasms. Educational underachievement: Academic achievement below expectations for overall intellectual abilities. Febrile seizures: Seizures occurring during illnesses with fever, usually in infants, toddlers, and preschool aged children. Idiopathic generalized epilepsy: A group of epileptic disorders that are believed to have a strong underlying genetic basis. Patients are typically otherwise normal and have no anatomical brain abnormalities. Idiosyncratic: Idiosyncratic drug reaction denotes a hypersensitivity to a substance not caused by allergy or by excessive quantities of the medication. Idiosyncratic stresses the fact that other individuals would react differently or not at all and that the reaction is an individual one. Intellectual disability: Subaverage intellectual ability equivalent to or less than an IQ of 70 that is accompanied by significant deficits in abilities (as in communication or self-care) necessary for independent daily living; it is present from birth or infancy and is manifested especially by delayed or abnormal development, by learning difficulties, and by problems in social adjustment. Formerly used term was mental retardation. Interictal epileptiform discharges: Abnormalities on EEG occurring between seizures (interictal) as opposed to during seizures (ictal). Juvenile myoclonic epilepsy: A fairly common form of idiopathic generalized epilepsy that typically first appears in teens, with myoclonus (a brief, involuntary twitching of a muscle or a group of muscles) occurring early in the morning. Most patients also have occasional major motor seizures and some also have absence seizures (staring spells). Also known as Janz syndrome. Landau-Kleffner syndrome (LKS): A rare childhood neurologic syndrome characterized by the sudden or gradual development of the inability to understand or express language and an abnormal electroencephalogram (EEG). LKS affects the parts of the brain that control comprehension and speech. Also called acquired epileptic aphasia. Learning disability: An abnormal condition affecting children of normal or above-average intelligence, characterized by difficulty in learning fundamentals such as reading (dyslexia), writing (dysgraphia), and math (dyscalculia). Lennox-Gastaut syndrome: A difficult-to-treat form of childhood-onset epilepsy that most often appears between the second and sixth year of life, it is characterized by frequent seizures and different seizure types and is often accompanied by developmental delay and psychologic and behavioral problems. Seizures commonly include stiffening (tonic seizures), myoclonic seizures, drop seizures and staring spells. EEG pattern typically shows slow-spike wave pattern in sleep. Obsessive-compulsive disorder: An anxiety disorder characterized by intrusive thoughts that produce anxiety (obsessions), or by repetitive behaviors aimed at reducing the anxiety (compulsions), or by a combination of such obsessions and compulsions. Symptoms of the disorder include excessive washing or cleaning; repeated checking; extreme hoarding; preoccupation with sexual, violent or religious thoughts; relationship-related obsessions; aversion to particular numbers; and rituals, such as opening and closing a door a certain number of times before entering or leaving a room. Psychometric testing: Testing by a psychologist of overall abilities (so called IQ tests), learning capacity, or of specific functions such as reading ability, memory, language ability. Retina: The portion of the eye containing the nerves that detect light. Rett Syndrome: A genetic neurological disorder that almost exclusively affects females. The features include severe intellectual disabilities, slow head growth, stereotyped hand movements, such as hand wringing and/or repeatedly putting hands into the mouth. Children with Rett Syndrome typically have no verbal skills; about 50% do not walk and up to 80% have seizures. Schizophrenia: Mental disorder characterized by a breakdown of thought processes and by a deficit of typical emotional responses. Common symptoms include auditory hallucinations, paranoid or bizarre delusions, or disorganized speech and thinking, and it is accompanied by significant social or occupational dysfunction. Tuberous sclerosis: A multi-system genetic disease that causes non-malignant tumors to grow in the brain and other organs (kidneys, heart, eyes, lungs, and skin). Typical skin lesions include flat white birthmarks present from shortly after birth. Symptoms may include seizures, developmental delay, behavioral problems, skin abnormalities, and lung and kidney disease. Epilepsy is common, including severe epilepsy in early infancy (infantile spasms). Autism and intellectual disability is more frequent if epilepsy is seen in the first year. Visual-motor integration: Use of visual information to perform smooth, coordinated, and precise movements, such as copying a figure, following a maze. William B. Svoboda: Childhood Epilepsy: Language, Learning and Behavioural Complications. Cambridge University Press; 2010. Dunn DW. Kronenberger WG. Childhood epilepsy, attention problems, and ADHD: review and practical considerations. Wu YP. Follansbee-Junger K. Rausch J. Modi A. Parent and family stress factors predict health-related quality in pediatric patients with new-onset epilepsy. Rathouz PJ. Zhao Q. Jones JE. Jackson DC. Hsu DA. Stafstrom CE. Seidenberg M. Hermann BP. Cognitive development in children with new onset epilepsy. Developmental Medicine &amp; Child Neurology. 56(7):635-41, 2014 Jul. Soria C. Escolano S. El Sabbagh S. Chmura S. Bulteau C. Chiron C. Dellatolas G.
Child Neuropsychology. 18(3):209-27, 2012. Behavioral problems, cognitive difficulties and quality of life in children with epilepsy: an analysis of parental concerns.